Veritech Enterprises, LLC (VTE) was formed in 2008 and has taken over the product line and support of Veri-Tech, Inc. products. VTE provides coastal and hydraulic engineering software and is located in Arlington, TX with a sub-office in Woodcreek, TX, USA. Veri-Tech, Inc. was founded in 1997 by two experienced water resources, ocean, and environmental specialists to enhance and commercialize Government-developed, state-of-the-art numerical simulation models and engineering / technical manuals in the areas of coastal, hydraulic, and environmental engineering. Principal Officers of Veri-Tech for many years were H. Lee Butler and Donald L. Robey (deceased), both former Division Chiefs of the U.S. Army Engineer Waterways Experiment Station (WES). 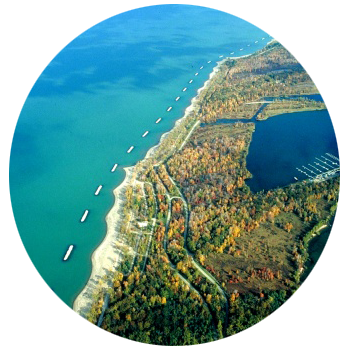 They offered a combined experience of over 80 years in the planning, design, management, and conduct of numerous hydraulic, hydrologic and coastal engineering studies as well as studies involving associated environmental impacts. Their experience emphasized the application of numerical modeling techniques, laboratory, and field evaluations to address complex engineering, scientific, and management questions. Primary offices for Veri-Tech were located in Mississippi. Veri-Tech corporation was closed as of November 30, 2015, and all of its business activities were transferred to VTE. VTE is a Limited Liability Company whose General Partners are H. Lee Butler and Susan Wells. Initially, Veri-Tech collaborated with the U.S. Army Engineer Research and Development Center (ERDC) – WES Coastal and Hydraulics Laboratory (CHL) – through a Cooperative Research and Development Agreement (CRADA). The CRADA agreement permitted Veri-tech to enhance and commercialize several major products without any Federal funding. These products were based on CHL technology and through this mechanism made available to governmental, universities, and the private sector throughout the world.